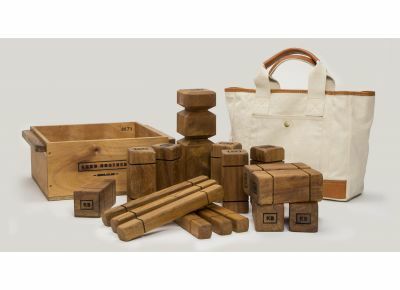 The Kubb Brothers, Sam, George and Freddie, are the talented artisans behind the one and only Premium Kubb Sets, handcrafted in Hawke's Bay from the finest sustainable NZ Elm. A few years ago in Europe, Kubb Brother #1 discovered the little-known largely-loved Swedish game kubb. When he returned to Hawke's Bay for Christmas, Kubb Brothers #2 and #3 helped him make a kubb set in our dad's workshop. One game and we were instantly hooked. We then (out of curiousity) looked online for a premium kubb set in NZ, it didn't exist, so we figured we should be the ones to make that happen. The "kubb shed" as it's colloquially known, is a large, warm, dry woodshed with large garage doors opening out into the Tukituki Valley, it's a great place to work. We have every woodworking tool you could imagine in there, so there's no excuse for not getting the work done. When we're not in the shed, we're constantly sharing images and ideas on our Kubb Brothers Whatsapp group "Kubb Brotherhood." We are passionate about the eternal quest of making beautiful things that you're proud of. Our ethos has always been, let's make a game you don't want to hide in a games cupboard... It doesn't hurt that we make a game that we love to play - so work is play! And of course we love getting to work with your family... Although, we do try and not talk kubb at our family dinners... We fail every time.